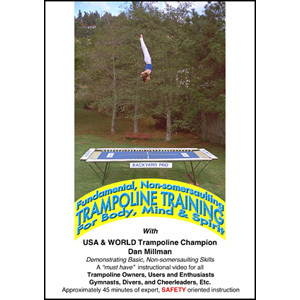 Dan Millman is a USA and WORLD Trampoline Champion, International Gymnastics Champion and USA Floor Exercise and Vaulting Champion. Dan is presently inducted into the Gymnastics Hall of Frame. Dan has served as Director of Gymnastics at Stanford University, Women's Gymnastics Coach at the University of California and Professor of Physical Education and Men's and Women's Springboard Diving Coach at Oberlin College in Ohio. Dan is also author of eight best selling books, including the international classic, Way of the Peaceful Warrior, Body Mind Mastery and other books on well-being, philosophy, personal training and self development that have inspired millions of people in 21 languages worldwide. 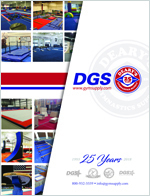 Dand Millman is one of the most knowledgeable and experienced elite trampoline teachers in the world.